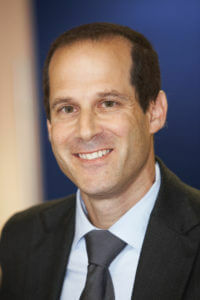 Dr. Ben-Horin received his MD from the Haddassa Medical School of the Hebrew University in Jerusalem Israel, completed his gastroenterology training at Sheba Medical Center, Israel, and was a post-doctoral scientist in the laboratory of human immunology at Columbia University Presbyterian Hospital in New-York, USA. Dr. Ben-Horin specializes in Crohn’s disease and ulcerative colitis and is the Director of the inflammatory bowel disease (IBD) service at the Gastroenterology Department of Sheba Medical Center, Israel and also heads the Gastro-Immunology Laboratory. He is a senior lecturer at the Sackler School of Medicine of the Tel-Aviv University and a member of the steering committee of the Israeli Gastro Association. His main research focus is drug mechanisms and response to biologic antibody drugs in IBD, as well as opportunistic infections in IBD. Dr. Ben-Horin has authored more than 60 peer-reviewed articles and book chapters and is currently an associate editor of the journal of Crohn’s & Colitis (JCC).